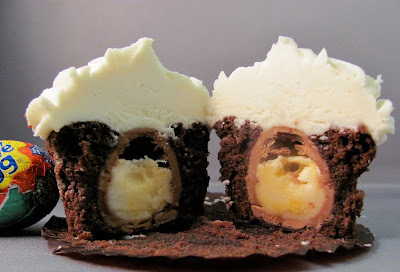 Last year I wrote about these yummy Cadbury Creme Egg Cupcakes. So many people have asked about them that I had to post again just in time for Easter. If you love Cadbury Creme Eggs, you'll LOVE these cupcakes. Check out my post here to read the special tip about baking these. I was in charge of dessert at a friend's baby shower. Wanting to do something a little different, I contacted Meringue Bake Shop to get some PushCakes. Don't tell me you haven't try a PushCake yet! They are a PushPop-type dessert layered with cake and frosting. You push up from the bottom to reveal more cupcake goodness. Amazing is an understatement. Turns out they make for great decor too. 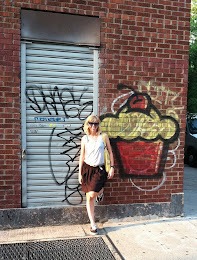 I was recently contacted by Carmen of C for Cupcake Cupcakery to try her cupcakes. Of course I was excited, especially since she is a local baker. 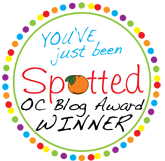 I met up with Carmen in the Orange Circle and got to know a little about her before I tasted her cupcakes. Carmen found her passion for baking about 8 years ago. Baking is her "magical hobby" because it marries the two things she loves most -- food and art. As you will see below, Carmen is a super talented artist who designs amazing fondant cupcake toppers. Her most popular flavor is Chocolate Orange Zest with Nutella frosting. However, I got to try her Caramel Apple cupcakes. Carmen knows that I am a triathlete, so she decorated the cupcakes to match my lifestyle. I couldn't believe my eyes when I saw her expertly-decorated fondant toppers! Absolutely amazing! I love these three cupcakes representing swim, bike, and run. Look at that detail on that watch! Carmen put a lot of time and effort into these decorations. Unbelievable! Each cupcake was decorated with a different design. Notice that toppers that say "Cupcake" and "Activist"? I feel so special! So now that you know what I think of Carmen's decorating ability, what about the taste? As I mentioned before, the cupcakes were Caramel Apple. I loved the sweet apple cake with caramel dripping off the frosting. I almost felt bad that I had to take off the fondant toppers, as they were so beautiful. I said almost. Of course I couldn't eat all these cupcakes myself. I shared them with my friends and their kids and the general consensus was delicious! I wanted them all to myself, but I didn't burn enough calories that day to justify it. C for Cupcake Cupcakery is great for any occasion -- birthdays, weddings, parties, baby showers, etc. You can check out her available flavors here. Carmen also sells her fondant cupcake toppers and baked goods supplies in her etsy store. You can check them out here. I love supporting local bakers who deserve some recognition. I know you'll love C for Cupcake Cupcakery as much as I did. When I go to the movies, I usually bypass the popcorn and go straight for the candy. But a combo of both?....can you say perfect! Popcornopolis has a flavor of popcorn called Cupcake. 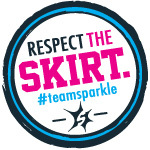 "It's like biting into a delicious cakey, creamy vanilla cupcake with plenty of icing. Oh, and did we mention the colorful sprinkles? It has lots of colorful sprinkles!" Take my word for it...it's delicious! I hate diets. When I feel restricted, I want it even more. One of the most recent diet fads is the Paleo Diet. It's a diet that only allows food that a cavemen would eat. The Paleo Diet is a gluten-free, dairy-free, sometimes sugar-free, mainly wildly plants & animals diet. It definitely doesn't cater to cupcake lovers. Cupcake Project has a recipe for Paleo-friendly cupcakes. 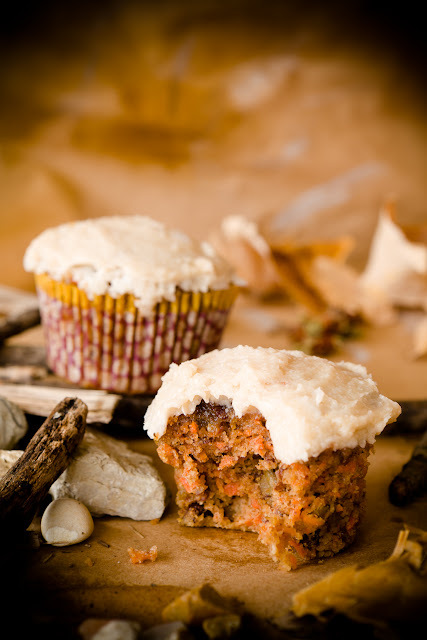 These carrot cupcakes are made of moist carrots, sweet & chewy dates, and pecans. The frosting consists of coconut oil and maple syrup. You can find the recipe here. So now everyone can enjoy cupcakes! Surprisingly, I first heard about The Queen's Bakery on Cupcake Wars. I was shocked to hear that one of the contestants was from Costa Mesa, CA. I hadn't heard of The Queen's Bakery yet, as they were only a few months old, but knew I had to visit soon. I didn't wait long and ended up stopping by the next day. The Queen's Bakery is located in Costa Mesa in a commercial building off Baker St. It was a rainy day when I stopped by and was greeted by a quaint, inviting bakery. There is lots of seating inside and the display cases are filled to the brim with cookies, macaroons, cakes, and of course cupcakes. I grabbed my goodies to-go and headed home to sample them. I ended up with four cupcakes, three macaroons, and a cookie. The chose a variety of cupcakes with different frostings so I could get an overall impression of the bakery. Strawberry Vanilla: The first thing I noticed was the taste of fresh strawberries in the thick & creamy frosting. The cake was very dense and a little dry around the edges. Red Velvet: Always the biggest test for a bakery. I was a little disappointed by it as the frosting was flat and not tangy. Chocolate: I loved the thick chocolate frosting on this cupcake, I just wish the cake was more chocolaty. Banana: The taste of the cake resembled a banana muffin, no complaints here. The cupcake was topped with vanilla buttercream, which I enjoyed, but I think a cream cheese frosting would pair better. The macaroons are where The Queen's Bakery shine! I sampled a chocolate lavender and a raspberry one. They were crispy on the outside and creamy in the middle. The center of the raspberry macaroon reminded me of raspberry jam. It was perfect! I have a hard time passing up chocolate chip cookies as they are my favorite kind. I'm glad I picked up one because it was delicious! Lots of chocolate chips and great consistency of cookie. Yum! The Queen's Bakery carries a large variety of tasty treats. Everything I sampled was delicious and I would eat again. As for the cupcakes, they were ok but nothing special. The flavors were basic and didn't stand out from other bakeries I've tried. I will definitely be returning for the macaroons as they were perfect. The cupcakes were $2.75 each, macaroons $0.95 each, and cookie $0.95. The best of the best show up for the LA Cupcake Challenge and 2012 was no different. 16 competitors, which included past contest winners as well as contestants on Food Network's Cupcake Wars, competed to claim the title of LA's Best Cupcakes. The 2012 LA Cupcake Challenge wasn't quite what I hoped for this year, but I still enjoyed it. Although almost half of the cupcakes were gone when I got there, I still got to eat some tasty ones. Hopefully next year the event will carry on and they can come up with a solution to remedy the problem. Congrats to the winners, especially My Delight Cupcakery who has pulled a first place win several years in a row. They really are the best cupcakery in Southern California. I can't wait until next year! 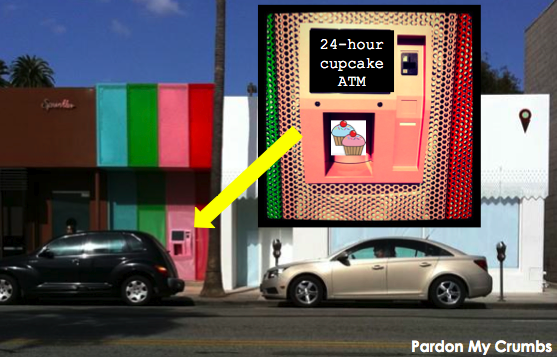 You've probably heard about it by now, but in case you haven't, here's the latest cupcakes news: Sprinkles has installed a 24-hour cupcake ATM outside of it's Beverly Hills store. So now when you have that midnight hankering for a cupcake, you can finally have relief! According to laist.com, the ATM machine will be restocked daily and will hold a variety of flavors. Red Velvet will always be available since it's the most popular flavor. The machine holds 600 cupcakes, available for $4 each. Last minute catering option? Would you buy cupcakes from cupcake dispensing machine? Banana Pudding: Yum! I'm a huge banana pudding fan and this cupcake tasted just like the real thing. Three Little Pigs: This honey butter frosting tasted like Crisco. It was the only cupcake I spit out. Evil Twin: This cupcake is one that they made on Cupcake Wars. It's a jalapeno-carrot cake with sharp cheddar frosting. Very different and so good! Surprisingly one of my favorite cupcakes of the day! Chocolate Bourbon: Bourbon filling was a little strong for me (a non-alcohol drinker), but the chocolate cake was very moist. I must get out to their store soon to try more flavors!! One of my favorite dessert shops is opening a new shop in Newport Coast at the Crystal Cove Promenade. This is great news because I don't get out to Long Beach much to visit them. Sweet & Saucy Shop is a dessert shop that sells cupcakes, cake pops, bars, cakes, and cookies. I first visited them in September 2009 and fell deeply in love! If you haven't been to the shop yet...GO! The new shop opens in 3 months, but I suggest you don't wait to taste the goodness! Have you seen the show Shark Tank? It's a show on ABC where people pitch ideas to a group of "sharks" who could potentially fund their idea. I've actually never watched the show, but it sounds like a great idea. Blogger Ice Cream Before Dinner, also part of The Smart Baker, will be a contestant on Shark Tank. The Smart Baker is a company that sells kitchen and baking items. They make a measurement conversion apron that was featured in Food Magazine. Recently, they made and patented a cupcake tower display. The episode will be airing tonight on ABC. The Smart Baker will be pitching their baking supply company. Check it out. I thought that transferring from full-time accountant to full-time mom would leave me lots of free time. Who knew that being a mom would be so tough? But let me tell you...I love it! Actually, I should say, I love him! My little boy just turned 3 months old. Isn't he a cutie?